Why so serious? Put a smile on that never goes away just like the insane Joker this Halloween! 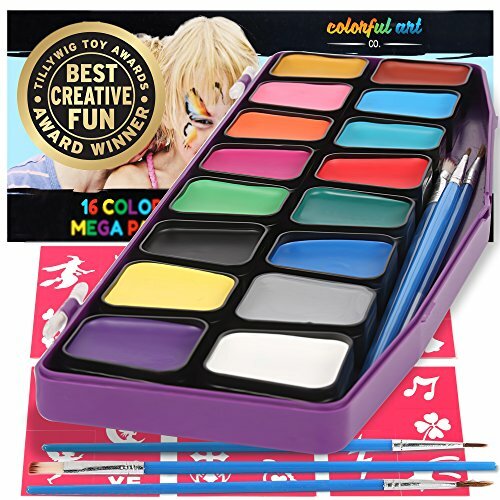 This makeup kit includes one tube of water washable white cream makeup, one tube of water-washable green hair color with applicator comb, one small black makeup stick, one large red makeup stick, mouth scars and face adhesive. 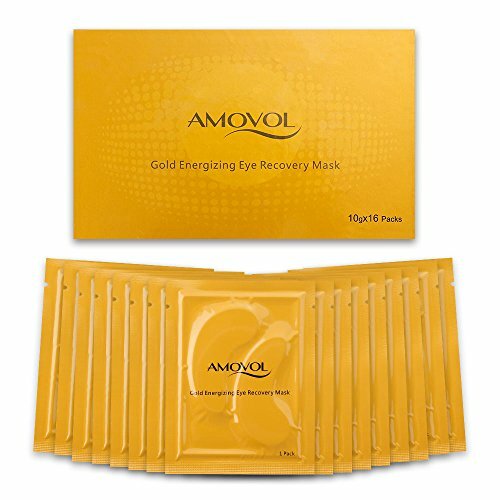 It cleans up best with makeup remover (sold separately.) This is an officially licensed Batman product. 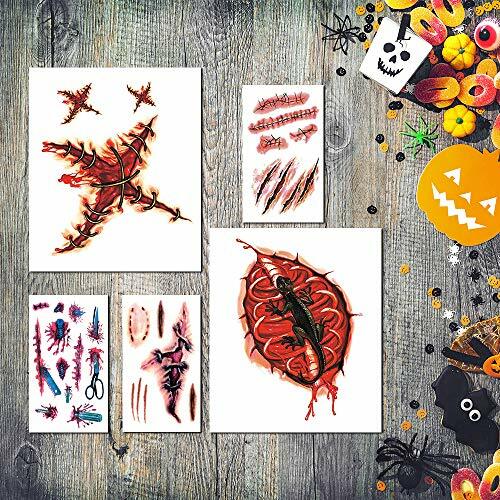 Enhance the look of your Halloween costume this year with this All-in-One Halloween Makeup Kit. 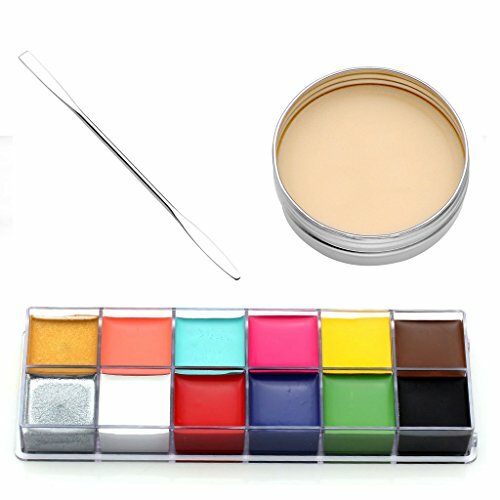 It includes tooth black, wax, horror flesh, liquid latex for applications, four color makeup wheel, blood capsules and gel, a sponge and a brush for makeup application. 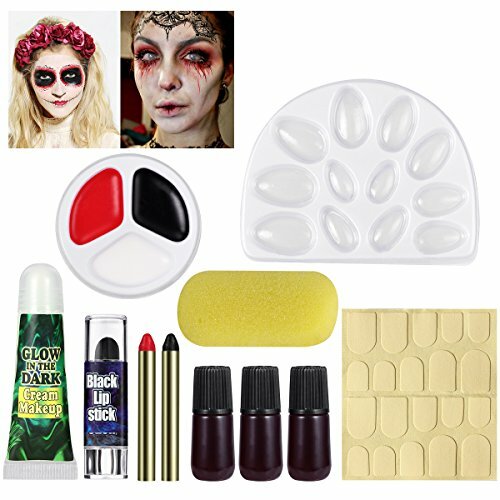 This Halloween horror makeup kit is perfect for completing any of your costume ideas for Halloween parties, trick or treating with the kids or handing out candy this Halloween. 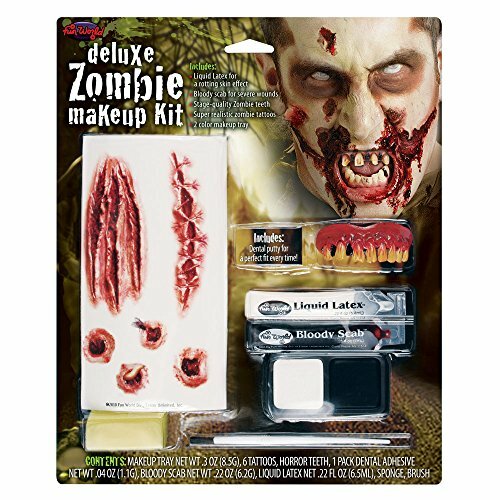 Beautiful Bones Makeup Kit Adult Costume MakeupPlease note: This item's color may vary due to inherent manufacturing variations or your computer monitor's color settings. The item you receive will be identical or substantially similar to the item pictured in this listing. 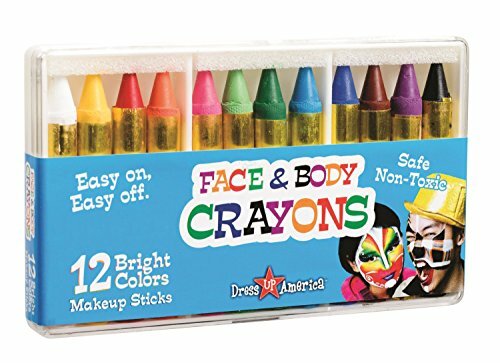 This makeup kit includes five makeup crayons (six darker color), makeup tray, two blood capsules, one tube of blood, one unit of scar skin, black tooth wax, blood gel, horror flesh, liquid latex and two sponge applicators. Everything you need to become any character you want!